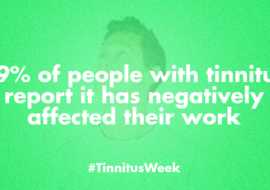 TIN-ACT stands for Tinnitus Assessment, Causes and Treatments. The aim of the program is to understand the basic neural mechanisms of tinnitus, and to find ways to measure and treat tinnitus. 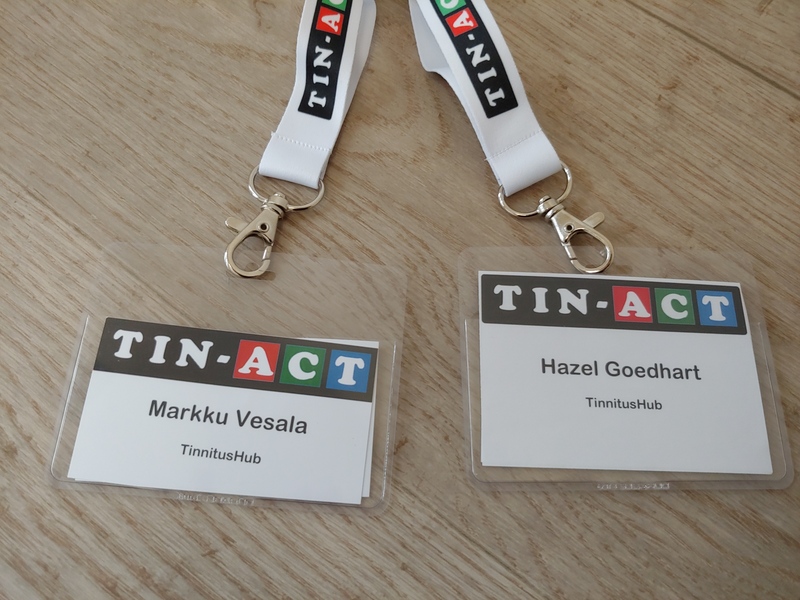 TIN-ACT is a European research consortium, formed by universities, companies and patient organizations, and funded by the EU. The core of TIN-ACT is a research program of 15 PhD students, from various disciplines and universities. The program is now at the phase where all the PhD students have been recruited and have just started their research. Tinnitus Hub is a partner organization of TIN-ACT; our role is to represent the patient voice and conduct patient outreach. Take a look at the TIN-ACT website for more information. The homepage describes tinnitus as a “potentially devastating condition” that can be “enormously debilitating.” They are looking to improve their site and add more content for patient/public outreach. So, let us know if you have any feedback on the website, i.e. what’s missing, what would you like to see? We will pass your feedback on directly to TIN-ACT management! First off, I’m impressed by how interdisciplinary TIN-ACT is. Neurology is definitely the predominant field – as it should be, I suppose – but the fifteen PhD students come from diverse backgrounds like audiology, neurochemistry, psychology, and even fields you wouldn’t immediately associate with tinnitus, like engineering. This might seem like the obvious thing to do. Yet, we know that tinnitus research is extremely fragmented. In our recent podcast with Professor Josef Rauschecker for instance, he lamented about just this issue. You can find a full overview of the fifteen TIN-ACT PhD studies here. Another impression that struck me is how driven these researchers are to understand the plight of tinnitus patients. 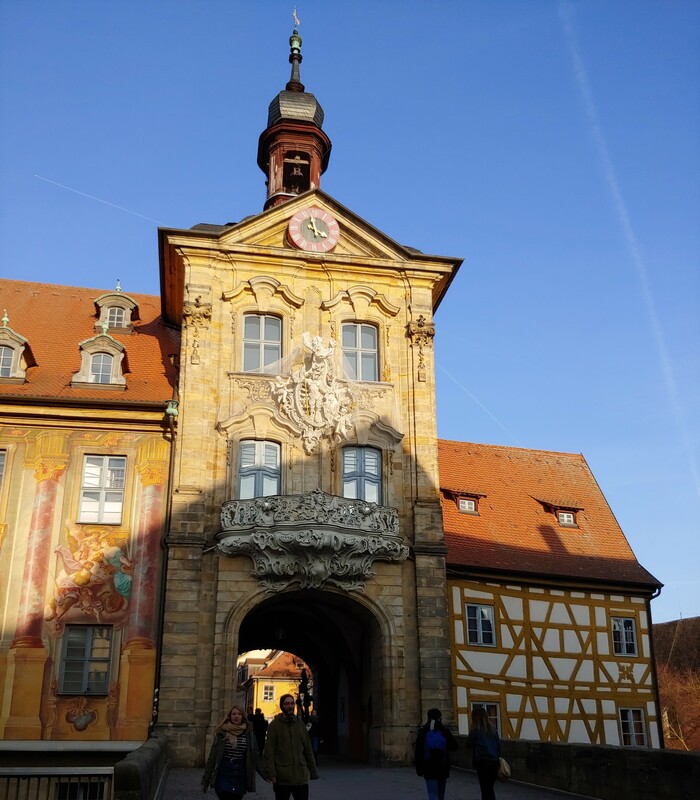 Being present at the workshop as a patient advocate, I was approached quite a few times with questions on how patients feel about certain treatments, how to get patient input for research design, and just general curiosity about the tinnitus experience. Nonetheless, meetings like this are clearly not geared towards a lay audience. It’s understandable, since 90% of those present are academics specialized in tinnitus, but I did feel like a bit of an ignoramus at times, despite being trained in the natural sciences myself. I’ll do my best however to convey some of the content of the workshop to you below! Without going over all fifteen PhD studies, let me attempt to extract some interesting insights for you. In referring to specific PhDs, please use this list for reference. Please note that the PhD students only just got started, so what follows below is NOT an overview of research results, but rather hypotheses and proposed study methods. Since TIN-ACT stands for Tinnitus Assessment, Causes and Treatments, I will follow the same structure below. This is an area often overlooked when we as patients discuss tinnitus research. However, without reliable ways of measuring tinnitus and its impact, it’s impossible to conduct for instance valid clinical trials on new treatments, because we cannot measure improvement. And without clinical trials, health regulators will not allow new treatments on the market. The standard way of measuring treatment outcomes is through tinnitus questionnaires like the Tinnitus Handicap Inventory. But these are highly subjective measures. Therefore, it’s encouraging to see TIN-ACT PhDs focus on developing more objective measures. One of the PhD programs (#3) aims to provide an objective, physiological marker for the tinnitus percept and perceived tinnitus pitch by comparing “spatiotemporal cortical activation patterns” measured during the perception of tinnitus with those measured while hearing actual sounds. Another interesting program (#1) aims to develop an improved method for assessing hyperacusis, through measuring response to both pleasant and unpleasant natural sounds. An interesting preliminary finding is that pleasant sounds yield a bigger difference (in terms of annoyance) between the hyperacusis group and a control group than unpleasant sounds do. The bulk of the PhD programs focus on exploring tinnitus causes, in particular the neurological basis for tinnitus. The thinking behind this is that we cannot develop effective treatments until we have a more complete map of the neurological networks that cause tinnitus. MRI based studies to improve understanding of tinnitus brain mechanisms (#4 and #8). Only three of the PhD programs focus on treatment. This might come as a disappointment to us patients, but I think it also indicates the conviction with the research community that we cannot find effective treatments until we first understand more about the (complex and interrelated) causes of tinnitus. None of the treatments being explored promise a cure, but they do seem innovative in some respects. For instance, one of the studies (#15) plans to conduct a randomized controlled clinical trial to evaluate the performance of electrical stimulation in cochlear implant users as a potential treatment for tinnitus. 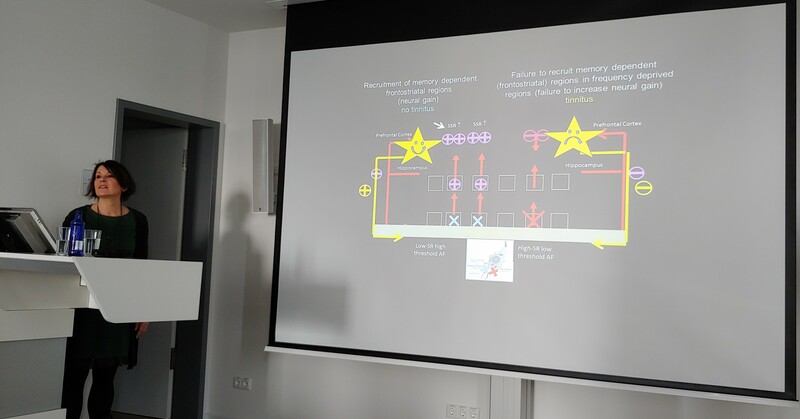 Besides the PhD students, one of the most interesting presentations was by Dr. Marlies Knipper, from the Hearing Research Center Tübingen. She posits that conventional models of tinnitus in the brain – which theorize tinnitus being caused by neural gain the auditory pathway in the frequencies that neighbor the damaged ones – are flawed. Evidence for this is the fact that tinnitus patients actually hear the tinnitus tone within the damaged frequencies (i.e. deafferent regions) in the auditory cortex. Furthermore, mild hearing loss cannot produce functional reorganization, but tinnitus does occur with mild – or even undetectable – hearing loss. Her theory therefore is that tinnitus, at least in people with only mild hearing loss, is caused by reduced neural gain. So, it could be seen as a failure of neural plasticity. Studies conducted by her and others seem to have proven this in animals. Initial confirmation was found in a pilot study in people (n=17), which demonstrated reduced and delayed auditory brainstem response (ABR) waves in tinnitus patients with mild hearing loss. 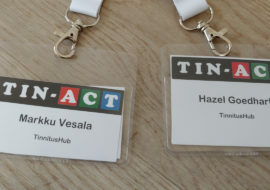 Besides learning about the research, TIN-ACT also provided us with an opportunity to strengthen our connections in the research world, in order to fulfill a key part of our mission: Connecting Patients and Researchers. We were approached by several researchers interested in patient data. When I explained that Tinnitus Hub conducted several surveys to collect data on a range of issues, some of which got over 5,000 responses, I could see them practically salivating to get their hands on it! It was a stark reminder that we need to do more academic outreach to make researchers aware of Tinnitus Hub’s added value in this regard. I managed to secure a speaking slot during the next TIN-ACT workshop (in Berlin in May) to be able to advertise this a bit more. We need to ensure that the patient data we collected is put to optimal use, for the benefit of tinnitus patients. 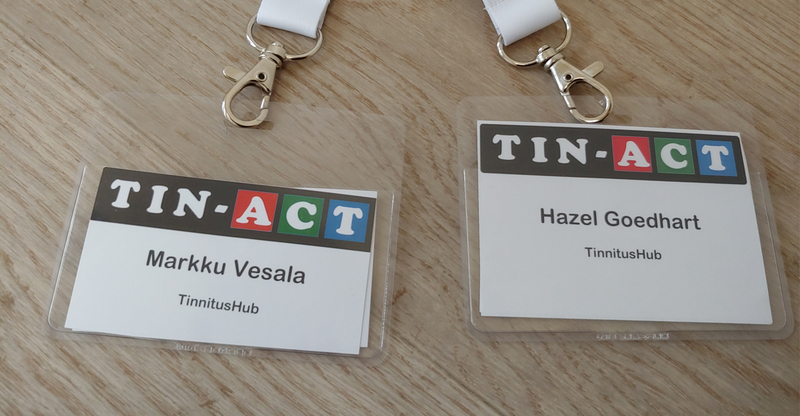 TIN-ACT management made clear that Tinnitus Hub is part of the TIN-ACT consortium because we represent the patient voice to researchers, but also because we can play a role in engaging patients in the program and keeping them updated on progress. Therefore, we will be helping them conduct patient outreach via their website, our websites, and third-party sites. Tell us what you want to know about TIN-ACT and we will work on getting the information out there! 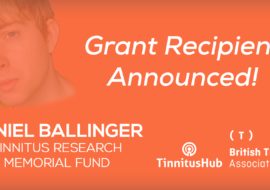 Finally, we might have an exciting opportunity on our hands to be part of yet another tinnitus research consortium, which will focus on co-morbidities like depression and chronic pain. 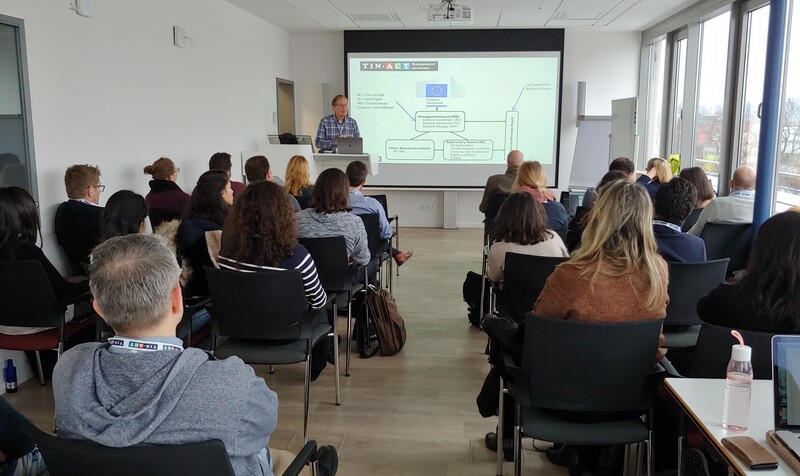 One of the workshop participants asked us to become part of their funding proposal; hopefully, it will pan out and we can tell you more about it soon! Tinnitus Hub is already part of two other tinnitus research collaborations: Tinnitus Research Initiative (TRI) and the European School for Interdisciplinary Tinnitus Research (ESIT). The latter is similar to TIN-ACT in that it also funds 15 PhD programs. TIN-ACT seems a worthy addition in the research field, with quite an explicit focus on neurology. It’s too soon at this point to predict what will come out of it, since the students only just got started. But it’s encouraging to see increased attention for tinnitus research. And we’re very pleased about the degree to which patient organizations are being involved. Basically, we are there to represent you, so reach out if you have any questions or ideas!